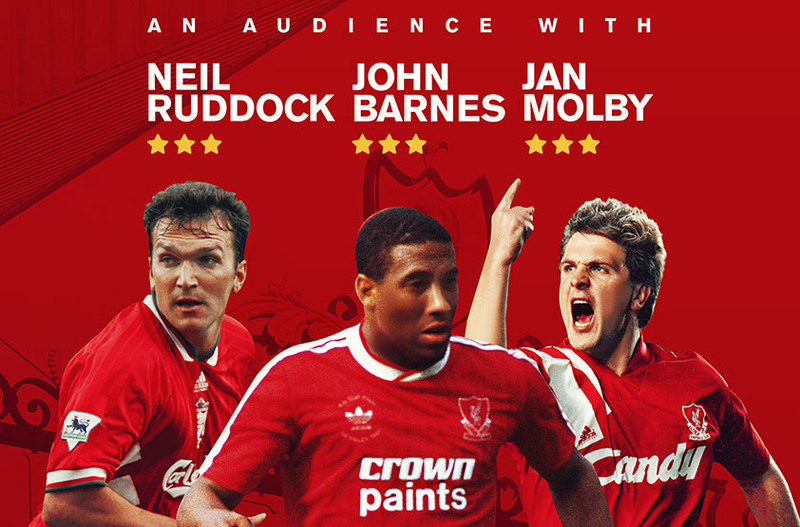 Your chance to see John Barnes, Jan Molby and Neil ‘Razor’ Ruddock on stage together. The evening will be full of entertainment and banter – as you would expect, so sit back and enjoy! The evening will give you a full insight into their careers, from previous clubs, to putting on the famous red jersey, to representing their national country. There will be 55 limited opportunities for a meet and greet pre show. Don’t miss out on your chance to see the guys up close.